Don’t you hate the air bubbles? Or when you stick on the screen protector all crooked? 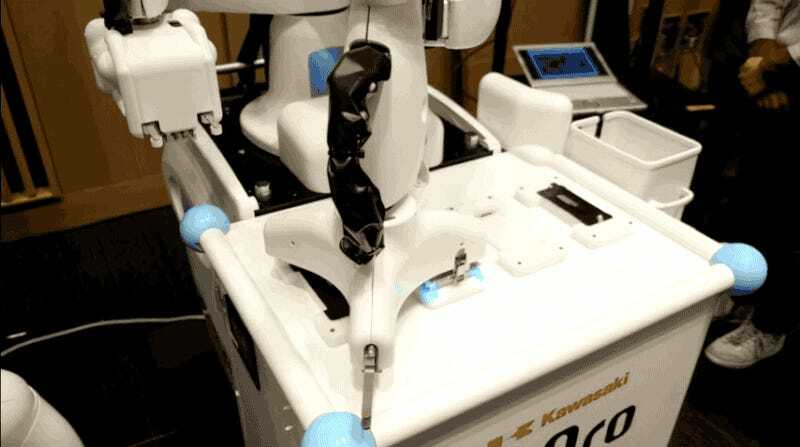 Here’s a robot that aims to change that. Oh, and take your job. According to IT Media, that is Kawasaki’s dual-arm manufacturing robot “duAro” putting on those screen protectors just so. This was a display at this week’s Pepper World in Tokyo, which is why you can hear Pepper in the background chattering away. Not only do we have to worry about robots taking our jobs, but putting on screen protectors better than us humans ever can.